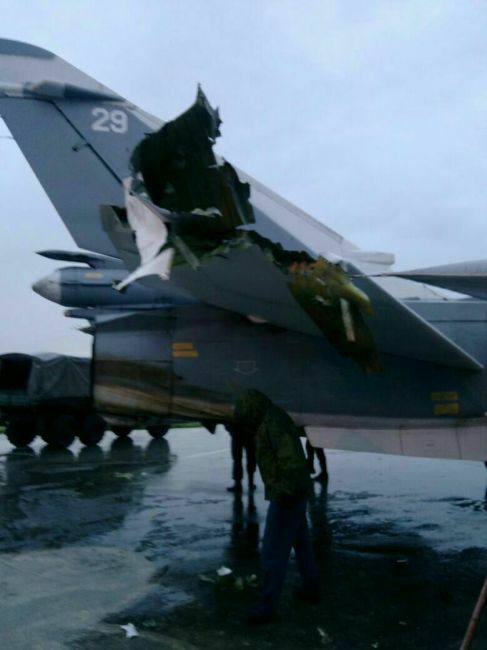 Before the New Year, the Russian air base in Khmeimim suffered a series of rocket attacks. One of them hit the target. At first, on Dec 27, according to Al-Masdar News, the Russians’ Pantsir-S1 short range air-defense system intercepted two Grad missiles launched from the village of Bidama near the Turkish border. Before that, according to Russia’s Defense Minister Sergey Shoygu, the system had intercepted 16 drones and 53 rockets. For the Russian foreign ministry, the Dec 27 attack was an open provocation. The rocket attack was followed by a mortar attack. Kommersant newspaper reported that the mortars had destroyed seven planes and an ammunition depot, but the Russian Defense Ministry said that they had hit one plane and one helicopter and had killed two men in the helicopter. Later reporter Roman Saponkov published photos of three killed soldiers. 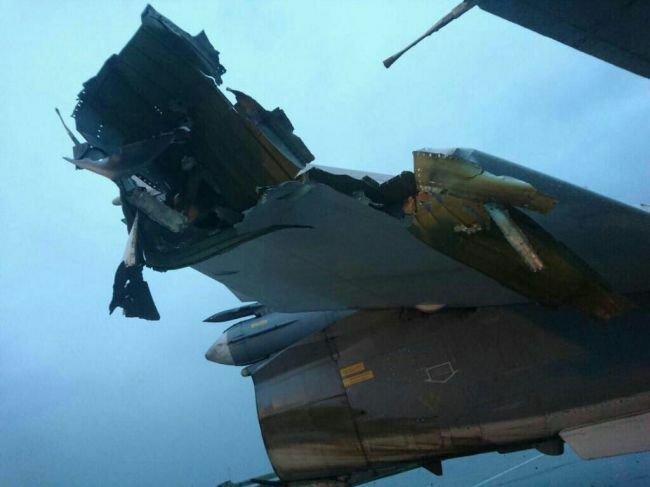 “According to preliminary data, the attack has damaged six Su-24s, one Su-35S, one An-72, one An-30, one Mi-8, two Su-24 and one Su-35S but all of them have been repaired. Later, I was informed that there were two attacks. I am not sure when exactly the planes were damaged. Perhaps, during the second attack. I don’t know when that attack took place – at night or during the daytime. It might as well have taken place in the middle of the day,” Saponkov said. According to military expert Yury Lyamin, after ISIL’s defeat in the east of Syria, the epicenter of the war has moved to the north of the Hama Governorate, where the key force is Hay'at Tahrir al-Sham (former al-Nusra Front). “The Russians are actively supporting the Syrian government forces there and it is natural that the fighters are eager to revenge on them. 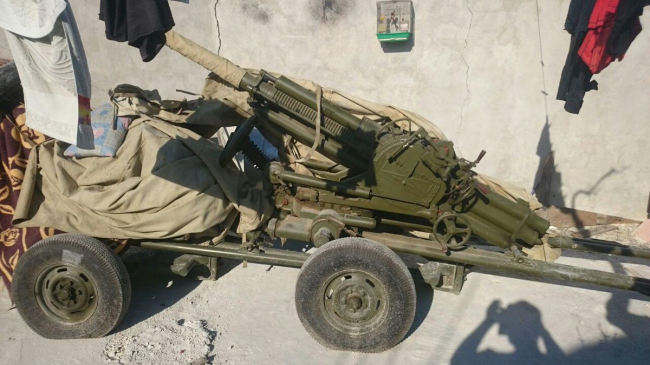 In the past, their 122-mm rockets missed the targets or were intercepted by our Pantsir-S1, but this time, they sent a subversive group armed with mortars as they knew that Pantsir-S1 is unable to intercept mortar shells,” Lyamin said. The fighters are just 20-50 km far from the Khmeimim air base but the base in located in an area where the population is loyal to President Assad and where the security system is quite efficient. 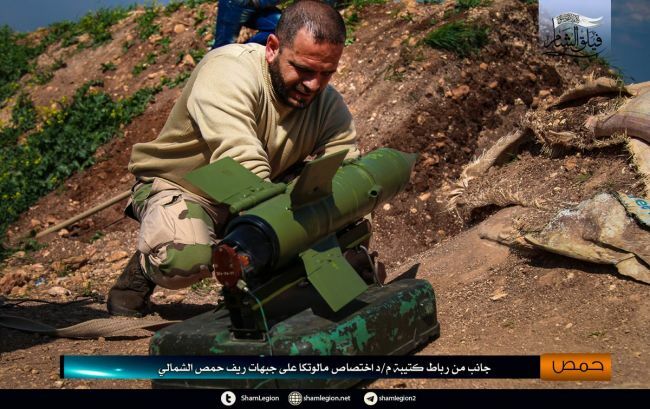 In the past, it prevented all subversive attacks but this time, something went wrong and a small group managed to infiltrate into the area and to organize a mortar attack on the air base. None of the terrorist groups has claimed responsibility for the attacks. According to Conflict Intelligence Team, even the locals were silent about the attacks. 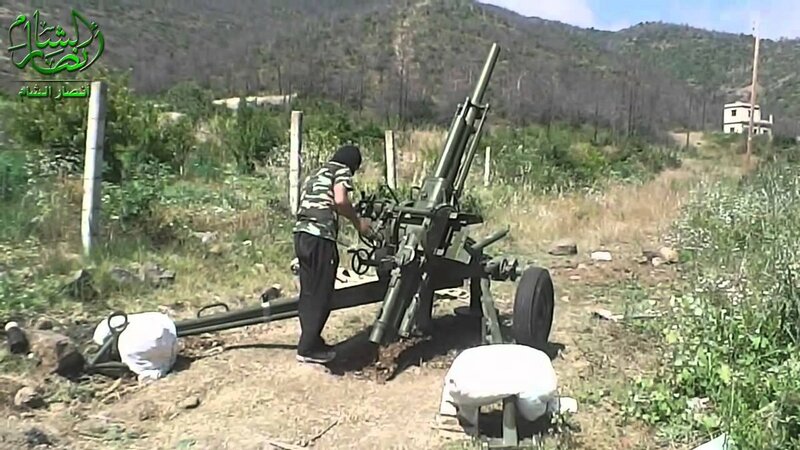 Vestnik Mordovii quoted some military experts as saying that the attackers used a Vasilek 82-mm mortar. 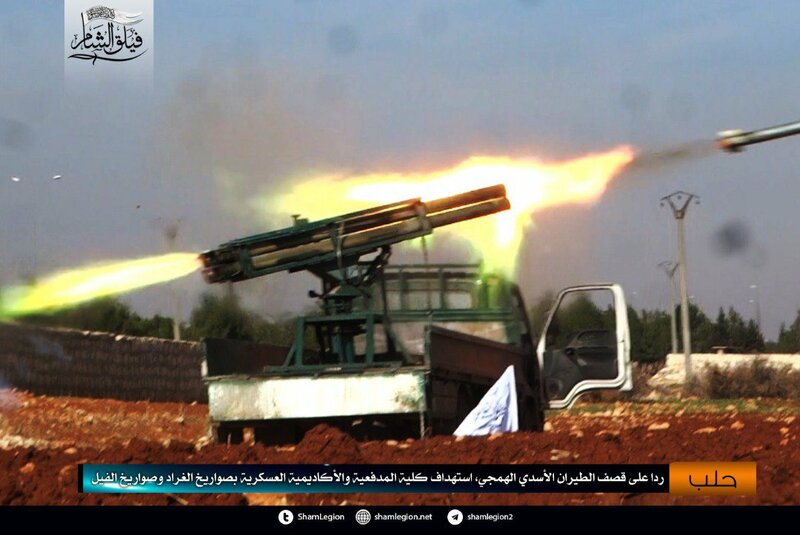 Some sources claim that Ansar al-Sham, a force that recently joined Hay'at Tahrir al-Sham, has such a system. 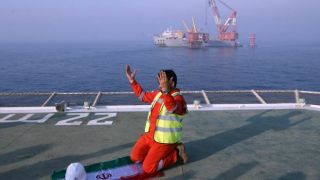 In Sept, blogger Rufus McDonald reported that such a system was sold in the northeast of Syria. Most of bloggers and western experts believe that the attacks might as well have been organized by the “moderate opposition,” who enjoy the support of Turkey and the United States. Charles Lister, a senior fellow at the Middle East Institute, said on Twitter that there were two theories for who was behind Dec 31 attack on Khmeimim: a localized, very small independent rebel unit active behind enemy lines or Ahrar al-Sham’s “special” unit operating covertly in Latakia (has a long track record). “If ‘mortar’ fire was indeed responsible, then one of those two scenarios would make most sense. 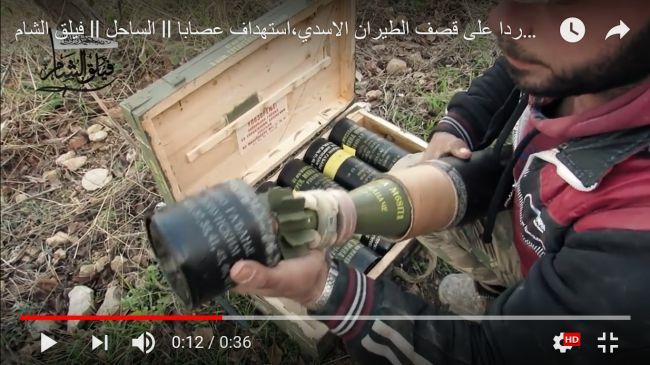 If BM21 artillery fire was the cause, then fingers would likely point to Ahrar al-Sham, which holds closest launch points to Khmeimim advanced 30-40km Grad rocket ranges,” Lister said. The attacks might have also been organized by the Sham Legion, comprising eight terrorist groups. That force is part of the Free Syrian Army and is deployed in Idlib, the stronghold of the “moderate opposition” troops in Syria. In 2015, the Legion’s 10th Coastal Brigade told CNN that it was they who had killed the pilot ejected from the Russian plane downed by the Turkish air forces. 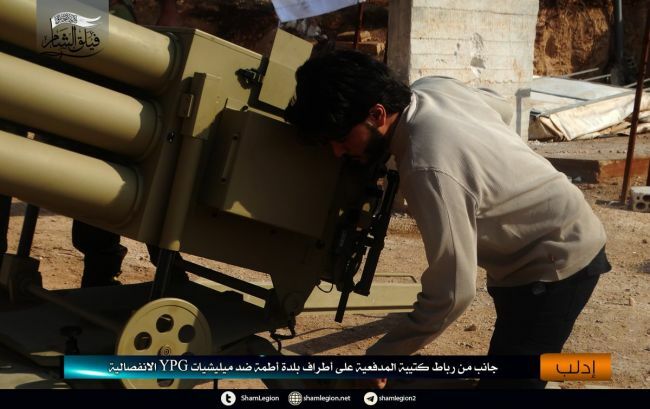 Currently, the selfsame group is posting photos and videos of their attacks on the government troops in the north of Syria. From Dec 26 till Dec 31, the Legion reported as many as 21 such attacks. 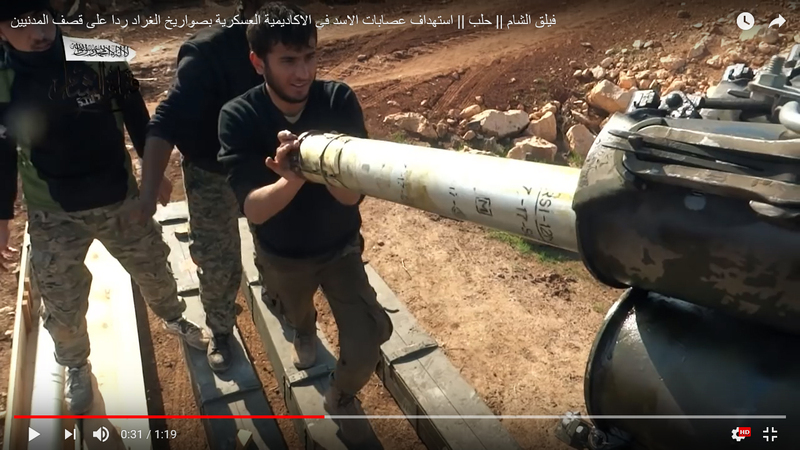 The group claimed responsibility for the Dec 27 attack and posted videos and photos picturing fighters using mortars, Grads and homemade Elephant rockets. The latter are made from gas tanks and have a range of 10-15 km. As regards the mortar shells, Grad rockets and the Malyutka anti-tank guided missiles, the Sham Legion has obtained them from Eastern Europe. The rockets pictured in their videos are similar to the ones produced by the Bulgarian VMZ. 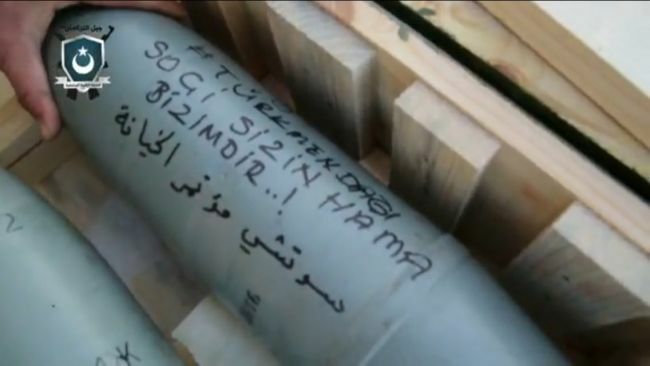 The mortar shells and the missile launcher they used against the Kurds this summer are from Croatia. Their ammo looks to be new. EADaily has repeatedly noted that their suppliers are the United States and Saudi Arabia and it seems that the supplies are well underway. 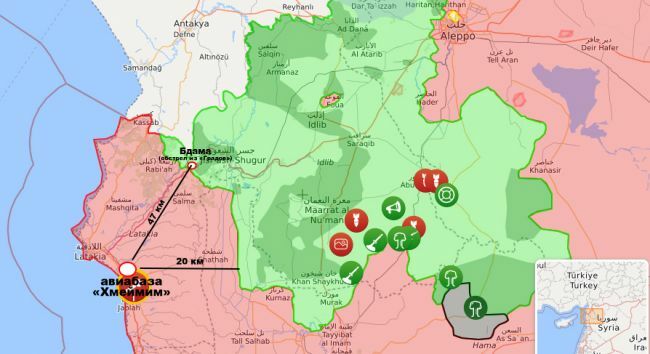 Today Idlib is the last stronghold of the “moderate opposition” and the only factor preventing Damascus from announcing final victory against ISIL. “I am not saying that the fighters launched the rockets from U.S. bases. That would be really frightful, but they may well have been trained and armed by the Americans,” Deputy Chairman of the Federation Council’s defense and Security Committee Frants Klintsevich said on Facebook. But the arms used by the Sham Legion are not only from Eastern Europe. The group has twenty-nine-year-old Suhail al-Hammoud, better known as Abu al-TOW (The Father of the TOW) for his extraordinary prowess with American-supplied Tube-launched Optically-tracked Wire-guided (TOW). Daily Beast quoted that man as saying that in Oct 2015 alone, he shot down 56 armored vehicles in Aleppo. No surprise that Russian Foreign Ministry Spokesperson Maria Zakharova qualified the attacks as well-rehearsed provocations aimed to wreck the congress of the Syrian national dialogue to be held in Sochi on Jan 29-30. An initiative of the Russian, Turkish and Iranian presidents, this congress might well throw the Americans to a back seat in the Syrian peace process were it not for the last developments in Idlib, where the Turks are supposed to monitor the ceasefire but have no sufficient troops in the zone. After the attacks on Khmeimim, the “moderate opposition” refused to go to Sochi and even announced a plan to join Hay'at Tahrir al-Sham, which, according to them, was a response to the latest attacks on civilians. The Sham Legion is also in that team. So, the attacks on the Russian air base appear to be a collective move by all fighters deployed in the area. This is proved by the messages they inscribe on the rockets they are using against the government troops in Idlib: one of them said, “Sochi is yours, while Hama is ours.” In this light, the attacks on Khmeimim were not a big surprise. The only surprising thing here is the position of Turkey, one of the authors of the Sochi congress initiative. According to bloggers, the Turks are deploying troops and guns near the Kurdish enclave of Afrin despite protests from both Russia and the United States. After a long pause, Turkish President Recep Tayyip Erdogan resumed calling President Assad a military criminal who has no place in Syria’s future. What has happened? The Turks may have started a new game aiming to gain them easy control over Idlib and a go-ahead for an attack on Afrin. If this is true, the attacks on Khmeimim were a good luck for them. But this may as well be a more global game aimed to change the status quo in Syria, a game involving the United States, Israel and Saudi Arabia. The Iranians consider those three responsible for the recent protest actions in Tehran. Similar things took place in 2016, when the fighters torpedoed each new move towards peace and the only way for Damascus to force them to negotiate was to beat them on the front.